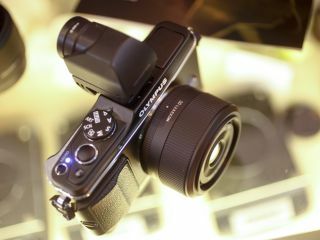 Sigma announced that it was joining the Micro Four Thirds and Sony NEX format last year, and it is now introducing a 19mm and 30mm lens. We got the opportunity to test out the new lenses at the recent Focus on Imaging show at the NEC in Birmingham. We'd like to share some of the images that we took with the lens, bearing in mind that conditions were limited. Initial feelings on the 30mm lens is that it is a nice addition to the Micro Four Thirds range. It offers a standard field of view (equivalent to 60mm in 35mm terms) that should prove useful as a walk around lens. Its f/2.8 maximum aperture should prove useful for low light photography, and also allows for attractive shallow depth of field images to be shot. In our brief time with the lens we found focusing to be quick and accurate, and images produced were sharp and crisp. We shot the following images on an Olympus PEN E-P3 Micro Four Thirds camera. We'll be putting the lens through a full test soon. The Sigma 30mm f/2.8 EX DN proved swift and sharp in the mixed lighting conditions of the NEC. Despite the poor light and low contrast subject, the lens locked on quickly. The f/2.8 maximum aperture provides a nice degree of background blur. The effective focal length of the lens is 60mm on a Micro Four Thirds camera, or 42mm on a Sony NEX camera.